Every Monday at Impact Hub Birmingham, the doors are flung open extra wide to invite in thinkers and doers. 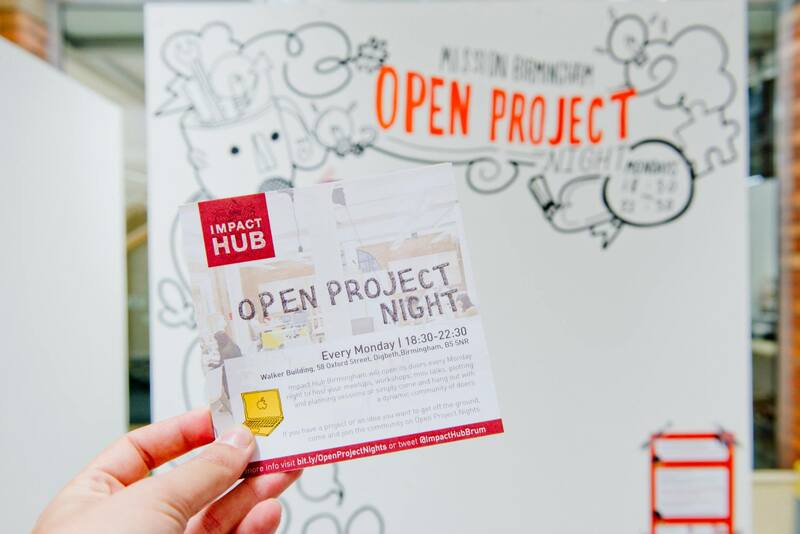 Impact Hub Birmingham was born in coffee shops, bars, libraries and parks, so Open Project Night allows as many people as possible to use the space to help them get their project, group or venture off the ground. Any creatives, activists, entrepreneurs, dreamers, or scientists working on projects, ventures and ideas focused on unleashing a better us – a better Birmingham – are welcome for meet-ups, workshops, mini talks, planning sessions, or simply to hang out. You can gain access to the vibrant and inspiring space, audio visual, WiFi and printing services, as well as a dynamic community of doers. And all of this is free, providing you register in advance. See the Open Project Night webpage for more information, and kick-start your next big idea!